The research that will be conducted on the area before the intervention allow to describe the environmental and soil conditions of existing degraded soils. The information that will be produced by these observations ? ?in situ and in the laboratory will focus on the topics of chemistry and soil physics, soil microbiology and aspects of botany and green issues. 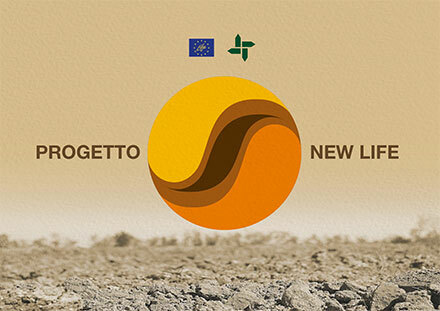 The data obtained from the surveys will be of paramount utility to calibrate and define the project in its technical and scientific details, where such information will be very useful for the description of degraded soils in relation to microbiological and botanical aspects. The experimental activities are focused on the definition of the agricultural and environmental properties of reconstituted lands considering both restoring the fertility of degraded soils than the reproducibility of the proposed system in a different context under other conditions. More research will be carried out on the engraftment the development of different herbaceous plant species, shrubs and trees. The treatment phase of degraded soils and barren land is conducted through the operations of soil removal from the areas identified, of extraction of sterile silty-clay soils, frank, sandy silt, of transport to the plant and a final treatment . All operations will be conducted according to the information produced by the studies of characterization and testing of the matrices involved. 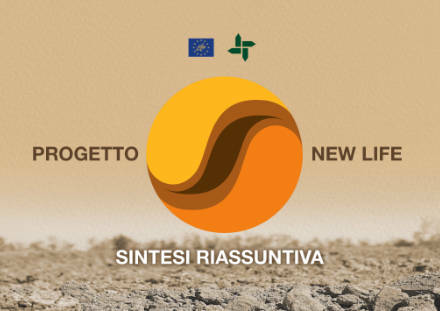 The layout of the site will proceed with the relocation of land undergoing the recovery treatment: the positioning of reconstituted land will be carried out also by the surface working of the soil in view of the subsequent propagation and planting of native plant species considered. During the layout operations will be gathered a large number of technical data on the physico-mechanical behavior of reconstituted soils (workability, trafficability, bedding, etc.). The layer of soil will provide a reliable layer for the roots, differentiated according to specific requirements.